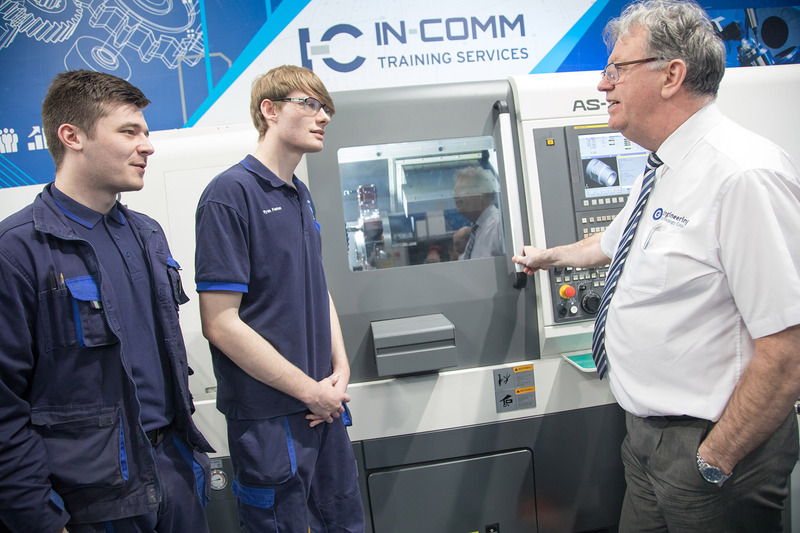 The annual In-Comm Training Barometer, which is designed to take the temperature of industry’s appetite for training, revealed that 83% of firms are still committed to taking on the next generation of engineers despite issues around the UK leaving the EU. Nearly three quarters (72%) of companies have already put aside budget to recruit apprentices over the next twelve months, with a surprising number of businesses (60%) stating they feel the Apprenticeship Levy is working. The results brought to a close this year’s National Apprenticeship Week 2019, a 5-day celebration of vocational learning and its impact on individuals, employers and the economy. Gareth Jones, joint Managing Director of In-Comm Training, said: “We’ve been inundated with stories of Brexit causing a slowdown and putting the brakes on investment, so this report is a very pleasing shot in the arm and shows the importance companies are still placing on continuing to bridge the skills gap. He continued: “I think what was surprising is that 60% of firms feel the Levy is working, which contradicts a lot of the current sentiment that is doing the rounds at the moment. Whilst not a resounding success, it does prove that if businesses are supported to make the most of it, it does deliver real benefits…I think the key is perhaps tinkering with the system rather than a complete overhaul. Of those that felt the Apprenticeship Levy wasn’t working, more than half said a lack of understanding was to blame for a lack of take-up, followed by 21% who felt the right training wasn’t available and 13% bemoaning a dearth of good quality training providers. 78% of the 83 respondents to the In-Comm Training Barometer felt that the range of Trailblazer Apprenticeships didn’t give them access to the skills they needed, which proves that the speed of which standards are being release is halting engagement in some parts of the sector. The report also highlighted that more than half of firms (54%) preferred part-time courses over the full-time option, whilst two fifths of companies engaged in apprenticeships don’t use them for upskilling. This could be attributed to a lack of knowledge of what apprenticeships can be used for or the stigma still attached with this type of training and the notion that it is usually reserved for young people or someone at a basic skills level. Finally, UK industry appears to have not heeded the move towards Industry 4.0, with just over a third of manufacturers questioned taking measures to implement digital systems and technology. Gareth went on to add: “The findings of the report tally with what we’re seeing at our three Technical Academies in the Black Country and Shropshire, with 280 apprenticeship opportunities currently available – all linked to full time positions with some great local employers. He concluded: “The skills gap is only going to get bigger if we fail to invest in the next generation of engineers and it appears from the report that companies have no intention of giving up on the good work that has been going on.